Ultra-Quiet 220W AC Adapter Power Supply Cable For Microsoft XBOX One Console brick 12V 17.9A 10.83A BlackCategory: Ac Adapter Power Supply Brick*EBK Product SpecificationCondition: 100% New ReplacementInput: AC 100-240V 2A, 47-63HzOutput: DC 12V--10.83A 5Vsb--1A Power: 135WCord: 3 Prong,5 feet power cordPower Plug: US Standard PlugOver Voltage output ProtectionOver Current output ProtectionShort Circuit output Protection*Features 100% brand new and high quality made with retail package. Made of high quality material, and suitable for long time using Lightweight and compact, easy to carry A must item for XBOX ONE lovers and players. 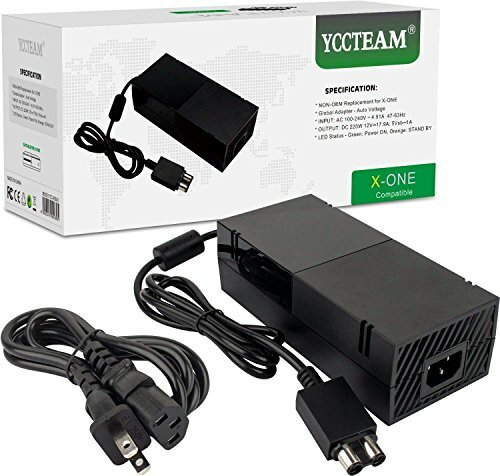 Ideal for replacing any lost or broken AC power adapter for XBOX ONE consoles. Low power, stable performance and quick charging Absolutely power-saving and environmental friendly Function as an original AC Adapter for XBOX ONE consoles. A LED indicator light would display the power status of the XBOX ONE console. Compatible with XBOX ONE console only. 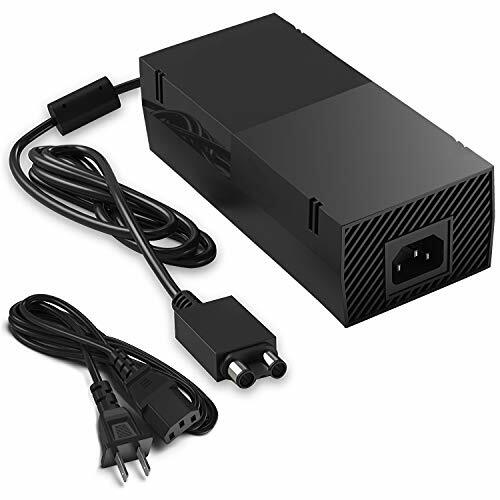 *Package Content1x Ac Adapter/Power Supply for Xbox one1x Ac Power Cord/Cable *Fits Models:For Xbox One ConsolesNote:Just Replace For Original Power Supply Which Output Is 12V--10.83A 135W,Not For Higher Output,Like 12V--16.5A 200W and 12V--17.9A 215W version.About EBKEBK have registered a U.S. Trademark and the serial number is 87368316; EBK offers diverse consumer tech solutions including batteries and adapters charger. Our products have passed CE, ROHS certifications; We have our own warehouse in NY and factory in China; if You Do Not Like our Product or Don't Want It For Any Reason, We Will Happily Accept The Return. (Money Back Guarantee, 6 Month Replacement Warranty). 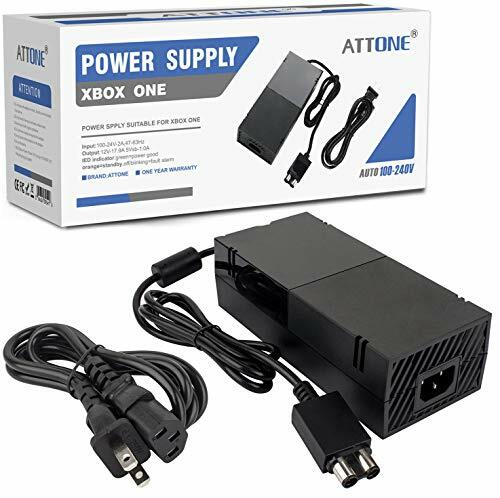 AC Adapter Power Supply Cord for Xbox One [QUIET VERSION] Best for ChargingCategory: Ac Adapter Power Supply BrickNo More Power Troubles - Ac Adapter Power Supply Cord for the Number One Accessory Designed to Put an End to Your Xbox One Power Troubles. No Loud Noise Unlike Most Power Cords for the Xbox One Available in the Market, Doesnt Produce a Loud Noise. Charge and Use Your Xbox One Console Conveniently. Long Lasting Power Supply - Durable and Effective, Our Ortz Ac Adapter Power Supply Cord for the Xbox One Console Lasts Long. Ortz Quality Invest in the Tradition of Quality Associated with the Premium Ortz Brand. This Brick Style Adapter Is a Great Accessory Kit for the Xbox One Console. Make Sure the Light on the Power Supply Works as This Is an Indicator That the Power Supply Is Receiving Power and Working. Ideal for Xbox One Charges Fast, Lasts Long, Durable and Sturdy. Simply Put, Ortz Is the Number One Power Supply Cord and Brick Style Charger for the Xbox One Console. If Power Supply Is Still on While the Console Is off, You Must Remove the Power Saving Mode : Standby Mode and Use Energy Saver. XBOX One Power Supply Cord Brick AC Power Adapter for Xbox One - seenda AC Power Adapter Replacement Charger brick Accessories Kit with Cable for Xbox One Console CordCategory: Ac Adapter Power Supply BrickThe original Xbox One power supply went out? / Xbox 1 started shutting down after a few minutes of use? / Your gf keep unplugging the power adapter because of the lound noise? 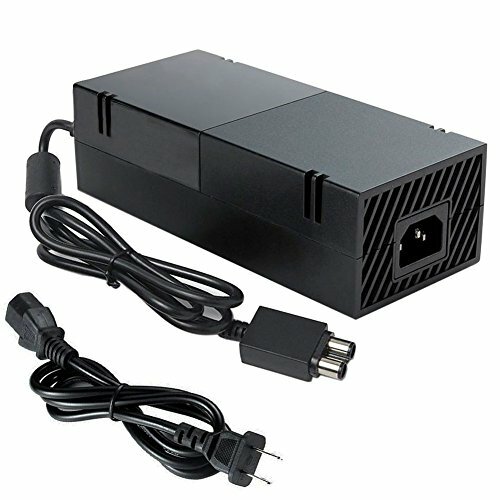 220W AC Adapter Power Supply For Microsoft XBOX One Console 12V 17.9ACategory: Ac Adapter Power Supply Brick220W AC Adapter Power Supply For Microsoft XBOX One Console 12V 17.9A 1. Color: Black2. LED indicator light3. Input Voltage: AC100-240V-2A 47-63Hz4. Output voltage: DC 220W 12V 17.9A5.Power Plug: US Plug6.Material: Plastic / Metal7.Compatible with Microsoft Xbox one only. 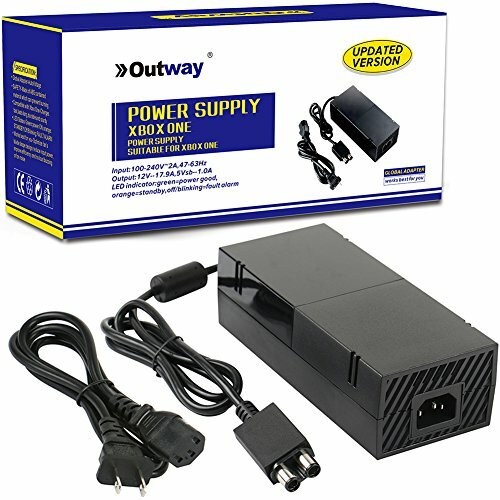 Xbox One Power Supply Brick, [Advanced QUIET VERSION] AC Adapter Power Supply Charger Cord Replacement for Xbox One 100-240V, BlackCategory: Ac Adapter Power Supply BrickOptimized for mounting the Xbox One,No Loud Noise,durable power supply adapter that doesn’t emit the loud noise common with many other similar products. 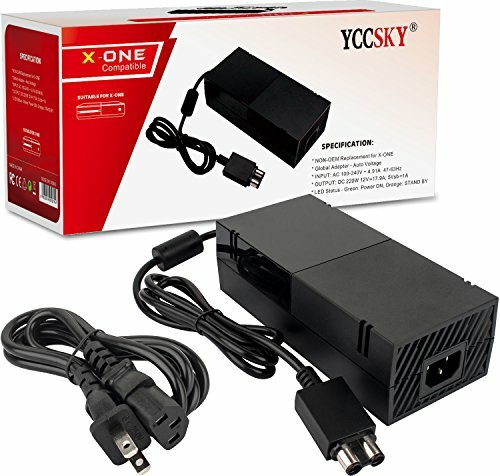 AC Adapter Cord Power Supply Plug for Microsoft Xbox One Video Game Console Brick XOne X-one X1 X-1 1TB 500G VersionCategory: Ac Adapter Power Supply Brick*EBK Product SpecificationCondition: 100% New ReplacementInput: AC 100-240V 2A, 47-63HzOutput: DC 12V--10.83A 5Vsb--1A Power: 135WCord: 3 Prong,5 feet power cordPower Plug: US Standard PlugOver Voltage output ProtectionOver Current output ProtectionShort Circuit output Protection*Features 100% brand new and high quality made with retail package. Made of high quality material, and suitable for long time using Lightweight and compact, easy to carry A must item for XBOX ONE lovers and players. 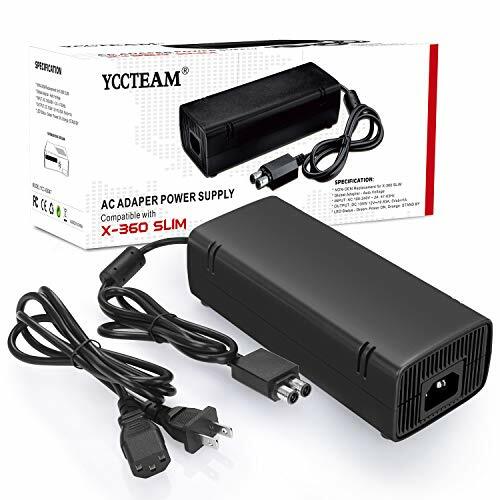 Ideal for replacing any lost or broken AC power adapter for XBOX ONE consoles. 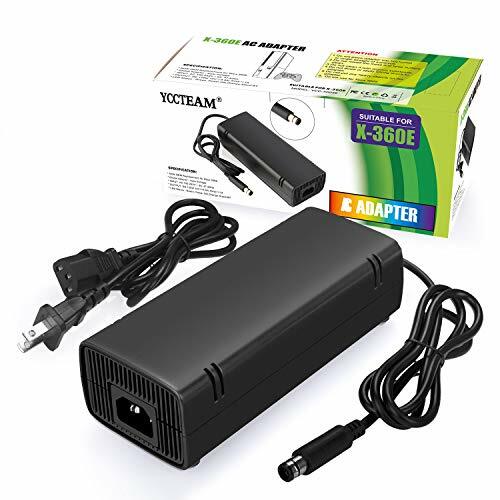 Low power, stable performance and quick charging Absolutely power-saving and environmental friendly Function as an original AC Adapter for XBOX ONE consoles. A LED indicator light would display the power status of the XBOX ONE console. Compatible with XBOX ONE console only. 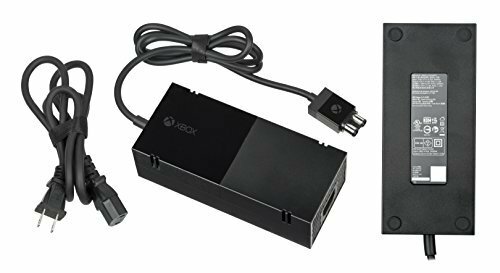 *Package Content1x Ac Adapter/Power Supply for Xbox one1x Ac Power Cord/Cable *Fits Models:For Xbox One ConsolesAbout EBKEBK have registered a U.S. Trademark and the serial number is 87368316; EBK offers diverse consumer tech solutions including batteries and adapters charger. Our products have passed CE, ROHS certifications; We have our own warehouse in NY and factory in China; if You Do Not Like our Product or Don't Want It For Any Reason, We Will Happily Accept The Return. (Money Back Guarantee, 6 Month Replacement Warranty). 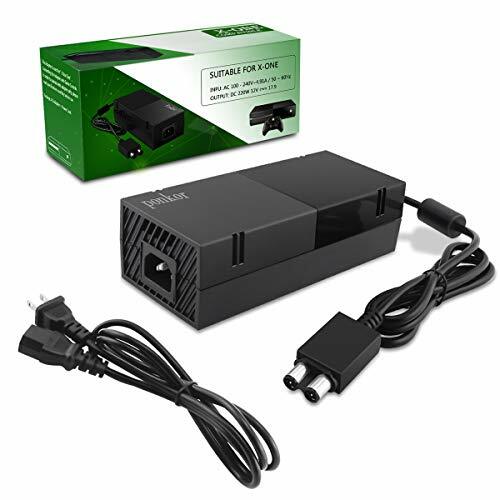 EBK XBOX One Power Supply Cord Brick AC Power Adapter for Xbox One - Replacement Charger brick Accessories Kit with Cable for Xbox One Console CordCategory: Ac Adapter Power Supply Brick*EBK Product SpecificationCondition: 100% New ReplacementInput: AC 100-240V 2A, 47-63HzOutput: DC 12V--10.83A 5Vsb--1A Power: 135WCord: 3 Prong,5 feet power cordPower Plug: US Standard PlugOver Voltage output ProtectionOver Current output ProtectionShort Circuit output Protection*Features 100% brand new and high quality made with retail package. Made of high quality material, and suitable for long time using Lightweight and compact, easy to carry A must item for XBOX ONE lovers and players. 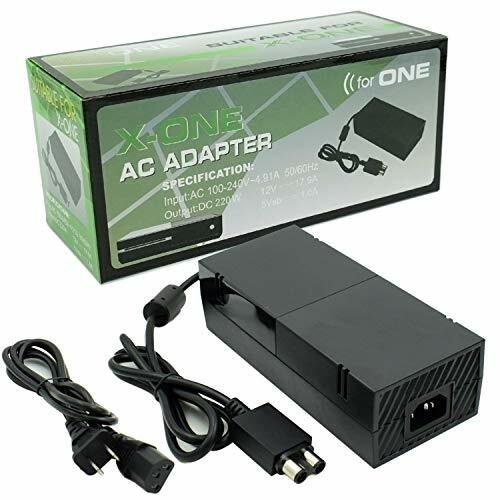 Ideal for replacing any lost or broken AC power adapter for XBOX ONE consoles. Low power, stable performance and quick charging Absolutely power-saving and environmental friendly Function as an original AC Adapter for XBOX ONE consoles. A LED indicator light would display the power status of the XBOX ONE console. Compatible with XBOX ONE console only. 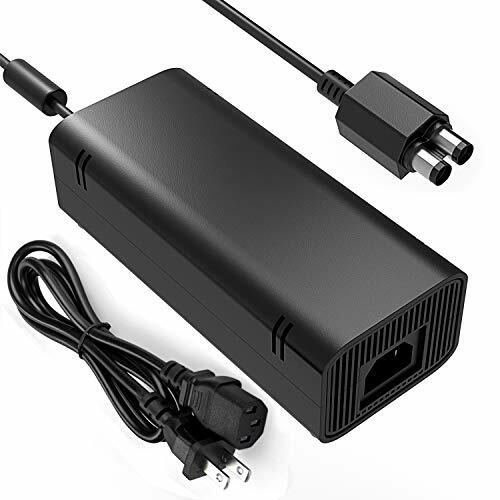 *Package Content1x Ac Adapter/Power Supply for Xbox one1x Ac Power Cord/Cable *Fits Models:For Xbox One ConsolesNote:Just Replace For Original Power Supply Which Output Is 12V--10.83A 135W,Not For Higher Output,Like 12V--16.5A 200W and 12V--17.9A 215W version.About EBKEBK have registered a U.S. Trademark and the serial number is 87368316; EBK offers diverse consumer tech solutions including batteries and adapters charger. Our products have passed CE, ROHS certifications; We have our own warehouse in NY and factory in China; if You Do Not Like our Product or Don't Want It For Any Reason, We Will Happily Accept The Return. (Money Back Guarantee, 6 Month Replacement Warranty).